Earth’s climate has always been changing, and living things have always needed to adapt to changing environments in order to survive and reproduce. For many species, this has meant movement. But for species on the move due to modern climate change, travel is not what it used to be. First, there are the routes. By altering the landscape in the name of development, agriculture, and infrastructure, we humans have not made it easy for any kind of species migration, let alone those we cannot yet anticipate. Then, there is the pace of climate change. Stanford climate scientists warn that the rate of change over the next century will likely be at least 10 times quicker than any climate shift in the past 65 million years. A 2011 study showed that species movement in response to climate change is happening two to three times faster than previously estimated, but is that fast enough? Can species keep pace? 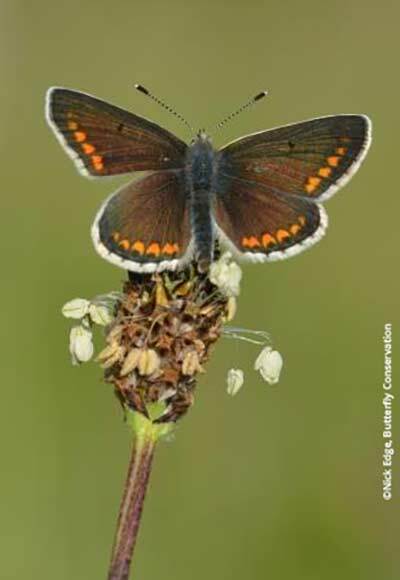 Last month’s news about the Brown Argus butterfly, the first known species to lose its ability to do something essential (eat and lay eggs on one of the two plants it has needed for survival) as it moves in response to climate change, raises doubts. So does Audubon’s recently released Birds and Climate Change Report, which projects that in merely 66 years, half of North American bird species will have lost 50% of their climatic range. What do we know about current and projected climate-driven species movement? Can this information inform our work in ecological restoration, conservation planning and regenerative design so that we can facilitate species movement as the climate changes? What about the movement of invasive species in response to climate change? To get a sense of the state of the latest science and challenges associated with it, we chat with two researchers who are studying climate-driven species movement. Dr. Josh Lawler is an ecologist at the University of Washington whose current work involves modeling the responses of animal species and populations to land-use and climate change. He is the author of several papers on species-driven movement and contributor to the U.S. National Climate Assessment. Dr. Miguel B. Araújo holds the Chair in Integrative Biogeography at the Imperial College London, while also serving as a research scientist at Spain’s National Museum of Natural Sciences and a visiting professor at the University of Évora, Portugal and the University of Copenhagen, Denmark. Last year, his work studying the effects of climate change on regional and global biodiversity earned him the prestigious Ebbe Nielsen Prize, which recognizes innovative research excellence in integrating biodiversity science and informatics. Though the study of climate-driven species movement is relatively new and constantly evolving, many people are applying the science to their work in restoration and conservation. Strategies range from ex situ conservation to the oft-debated approach of “assisted migration.” We share some examples. 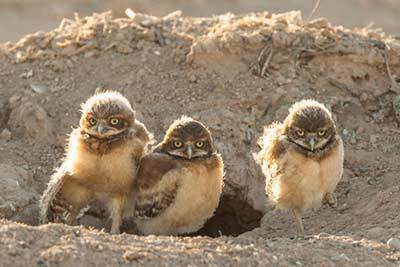 One outstanding example, which we’re delighted to highlight in our Non-Profit Spotlight, is Wildlands Network, an organization that is hard at work creating continental-scale “wildways” to facilitate species movement throughout North America. In her article Movin’ On Up, Jessica Norris reminds us that in our efforts to restore coastal ecosystems and protect communities in the face of sea level rise, we must allow for the upshore movement of non-human members of those communities. We share resources on this topic, as well as latest news at Biohabitats. Are you considering climate-driven species movement in your work? Tell us about your efforts by commenting on our Rhizome blog.